Rate and review ESPACE velkoobchod drogerie s.r.o. – sídlo firmy in Prague, Czech Republic! 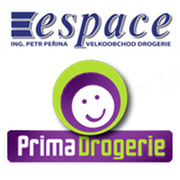 Share your experiences at ESPACE velkoobchod drogerie s.r.o. – sídlo firmy with your friends or discover more Cosmetics in Prague, Czech Republic.